Italian’s are renowned for charm and fashion, alongside great food and wine, the latter of which I will admit to falling in love with anytime I have visited the country. They are however, also renowned for cars, luxury performance cars at that and this Maserati is everything an Italian car should be. 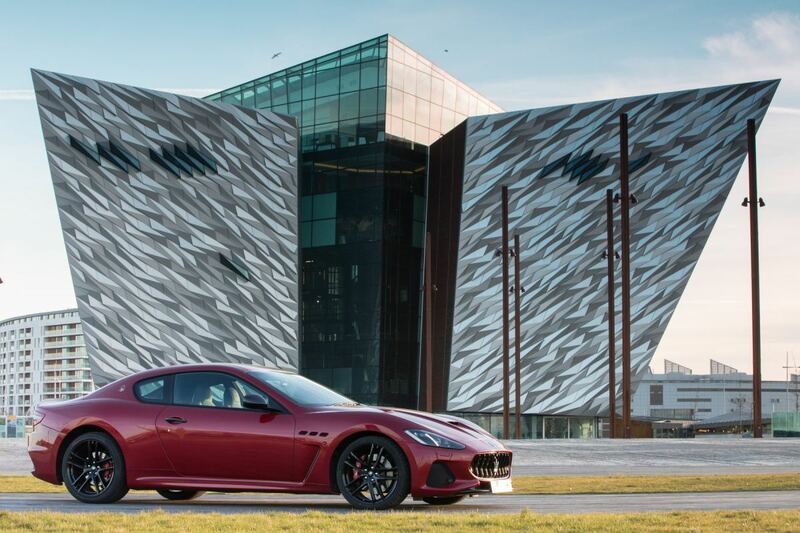 The name Maserati will likely ignite thoughts of low slung executive saloon’s or sports coupés, equipped with fire breathing petrol engines, stunningly glorious looks and exclusive interiors. 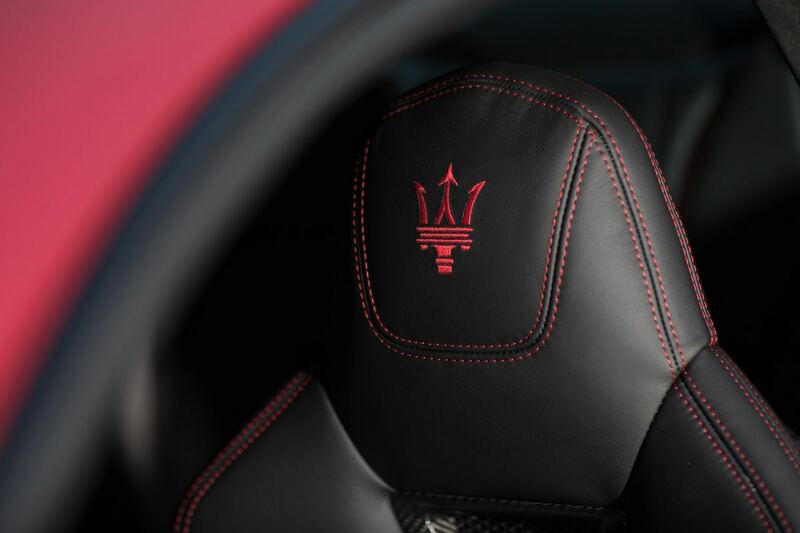 At a glance, and just like all of the Maserati range, the GranTourismo Gran Coupé will most certainly make you look twice, a Gran Cabrio drop-top is also available. 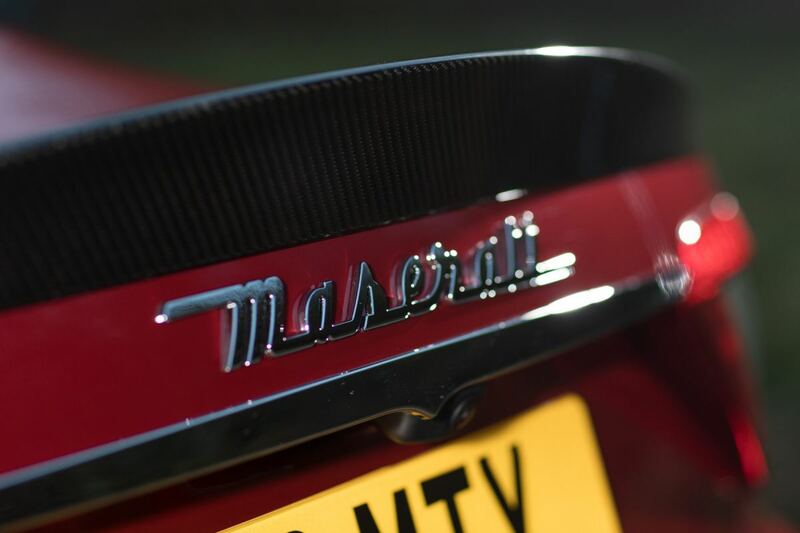 Featuring a few signature traits from the Italian makers stable which include multiple exhausts, a Maserati logo on the ¼ panel, a large open mouth and the common sight wing vents. 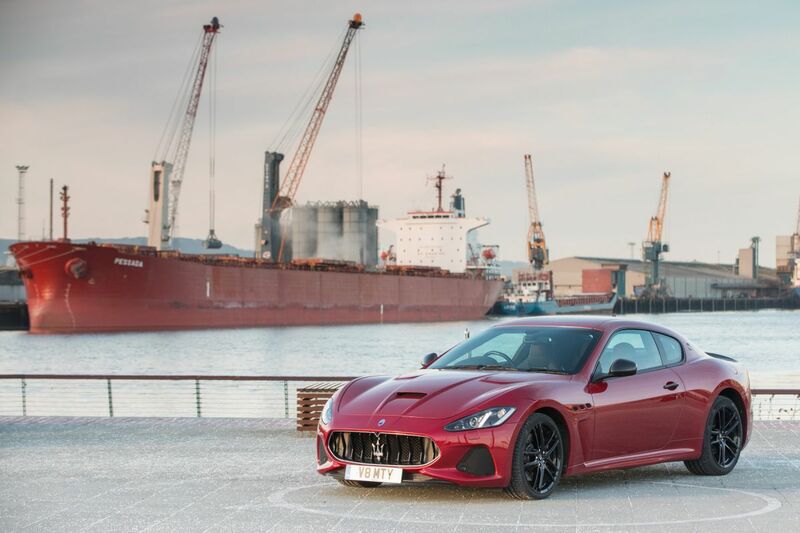 Receiving a substantial refresh this year, we drove the updated version of this luxurious four-seater sports coupé several months back and the GranTurismo has evolved into one of the most iconic Maserati cars ever built, thanks to its uncompromising GT character. Streamlining the range, just two trim levels are available, and with only one engine and a single gearbox option, ordering is kept incredibly simple, despite a plethora of personalisation options. These options I won’t go into, as the professionals at Charles Hurst in Belfast will explain them all much more thoroughly. 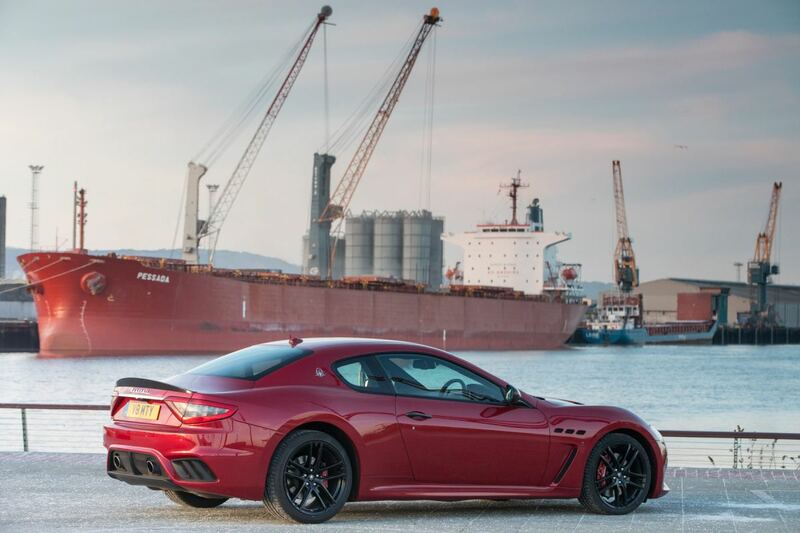 Using now, only a 4.7L V8 engine, built in Maranello by Ferrari with some features exclusive to Maserati, the GranTourismo really is everything an Italian sports car should be. Revving to 7,500rpm it produces over 450bhp and you can expect a 0-60mph sprint in just 4.7 seconds, thanks to the pushing force of 384lb/ft. Via a six-speed automatic gearbox and limited slip differential at the rear, a top speed just shy of 190mph is achievable, with an average return of no more than 20mpg. These figures, I would be sure are improved over the previous model, thanks to re-styled bumpers and air-ducts, that afford better aerodynamic efficiency, as well as improved pedestrian safety. With almost perfect weight distribution, the GranTourismo combines an engine location just behind the front axle with a hydraulic steering system for the truest driving experience and thanks to larger than life Brembo brakes, stopping is never going to prove a challenge. 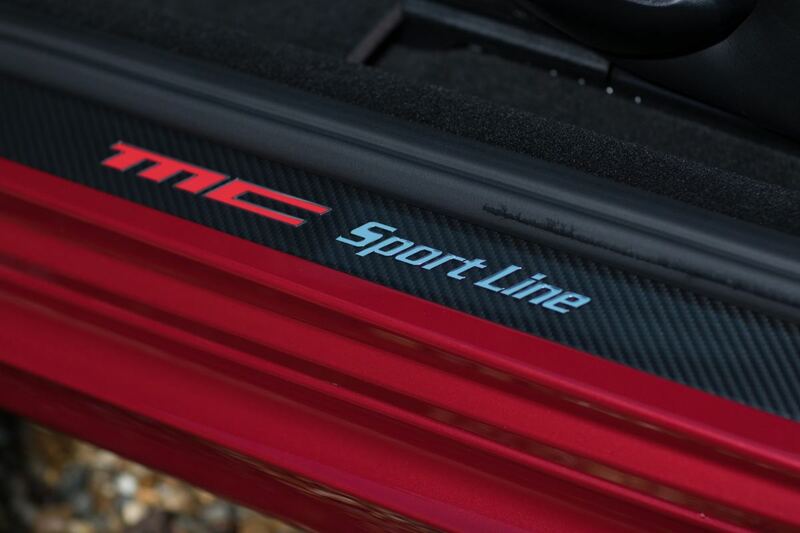 MC trim has an optional carbon bonnet with central air intake vent and it comes with a race inspired lower front spoiler and bespoke headlight trim to set it apart from the Sport model. With three-layer paint finishes on offer with the MC, 20-inch alloy wheels feature, wrapped in Pirelli P Zero rubber for ultimate traction. 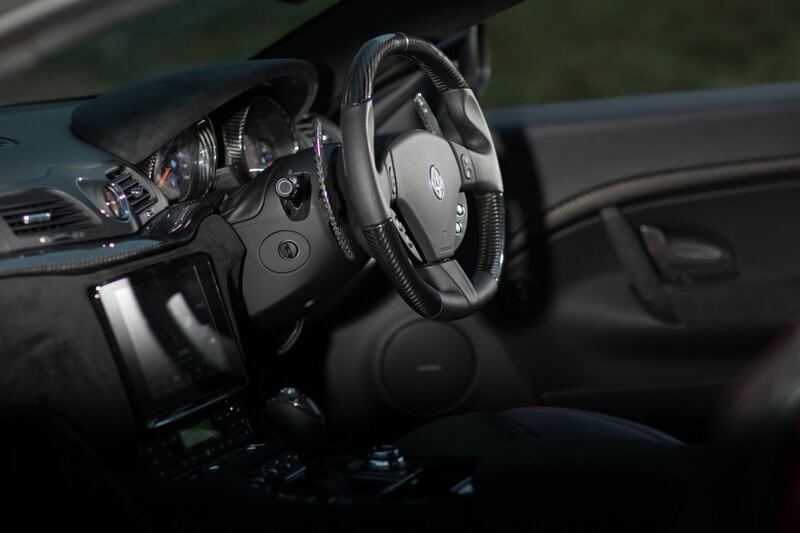 Inside the MC model is inspired by Maserati’s rich motorsport heritage and is more sculpted than before, featuring sports seating and an abundance (depending on options) of Leather / Alcantara / Carbon Fibre, as well as a flat bottom steering wheel with large gear-shift paddles behind. The comfort and support of the seating is unparalleled, and with a marvelous driving position, this is one GT car living up to the expectations of what a GT is, and is more than capable i feel of absorbing a European road trip with two adults on-board. Around town you could likely avail of the four seats on offer with this Maserati, as if you have a young family, I am confident it would me more than comfortable on a commute. Thanks to a Harman Kardon premium audio system, connected to an 8.4-inch touch-screen with Apple CarPlay and Android Auto connectivity, the likes of ‘baby shark’ will never have sounded so good. Also visible via the screen, which is now the central feature of the dash, and on this model tested sits amidst a sea of Alcantara and Carbon, options which are a must have on any order, is a crystal clear rear view camera. 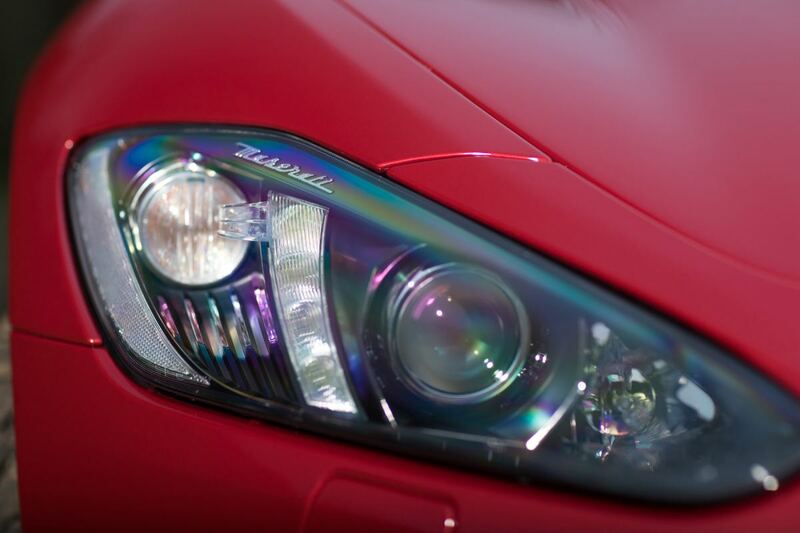 Due to the nature of the body shape, rear visibility is tricky so this feature is most welcome. 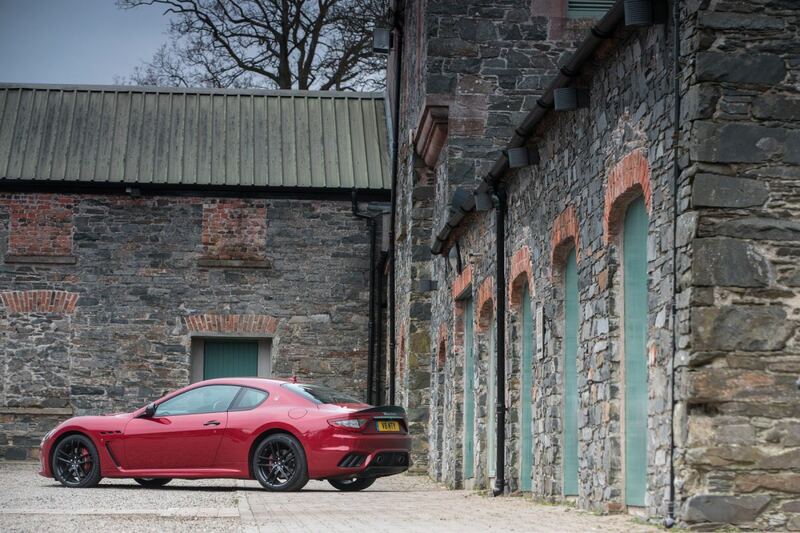 Starting from a few grand over £90,000.00, the GranTourismo offers all of the charm and character you would demand from an Italian sports car, yet retains refinement and that naturally aspirated engine many yearn to own. 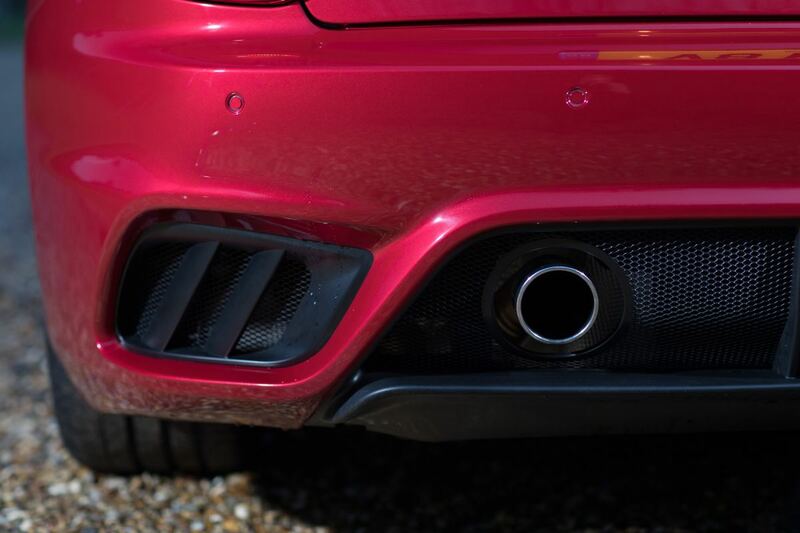 With so many manufacturers moving to smaller capacity, turbocharged engines these days, a move that I am very much a fan of, as I simply adore the power delivery of forced induction. 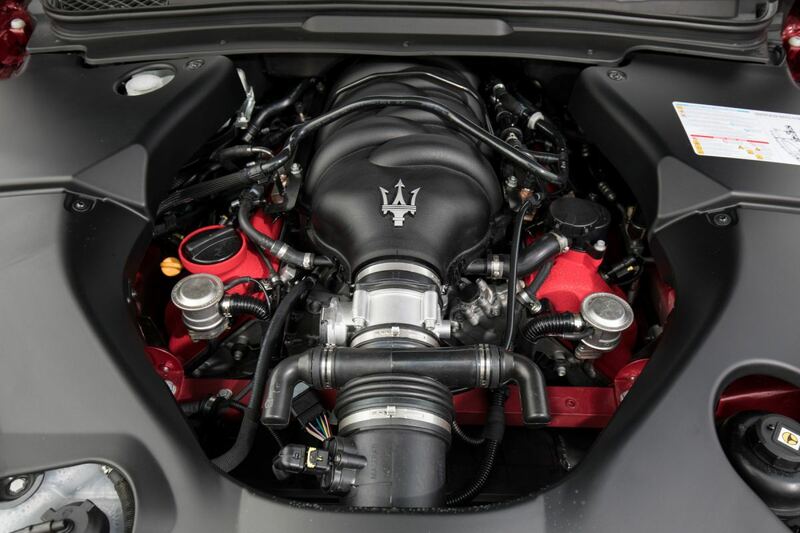 It is great to see that Maserati’s roots are grounded with an engine set-up that most petrol heads adore. 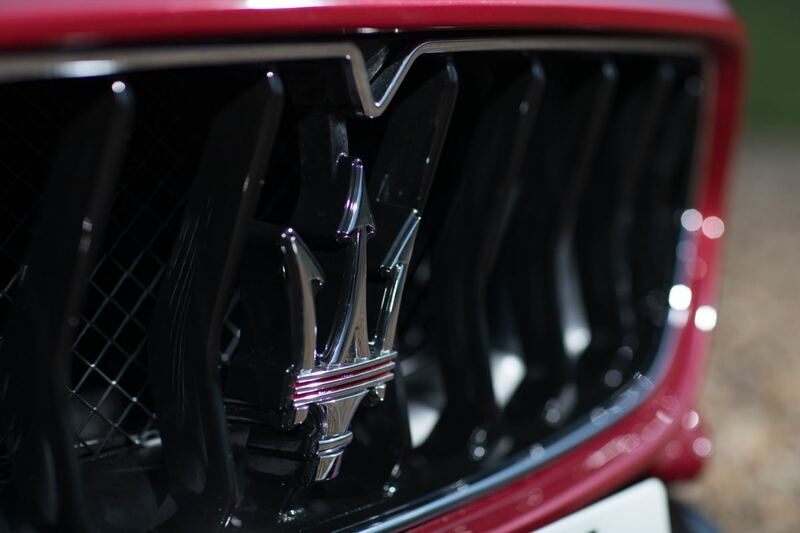 On the road, the Maserati GranTourismo gets some serious attention, it has quite the road presence, and in MC trim with sport mode selected, the electronic valve controlled exhaust is as vocal as the Town Crier. Yes OK, the mechanical’s are very much outdated now compared to potential rivals, but with it, it offers that ‘on your own’ appeal to a mechanical driving experience and despite the fact that there is a sophisticated stability system in place, you absolutely need to be wide-awake if pushing hard in tricky conditions. Various gearbox modes can be selected, such as Automatic Normal and Sport, Manual Normal and Sport, as well as an ICE mode, thus you will never be stuck for the most accurate transmission mode for whatever driving mannerisms you wish to apply. Launch control and an automatic blipping on downshift keeps the race inspiration very much alive also – what’s not to like? They really are gorgeous cars but they should try and increase the arch gap a bit. Anyone else see a huge resemblance to an RX8? I can't unsee it now. | Anyone else see a huge resemblance to an RX8? I can't unsee it now.